The boom of the Exchange Traded Fund (ETF) industry over the last decade has been great for many financial firms but also great for retail investors. Many ETFs help investors simplify their portfolio and keep their investing costs low. These are two hallmark traits of successful investing, along with long-term discipline and diversification. In recent years the ETF industry has started to shift away from fundamental investing to make smart beta products accessible to the retail investor. What the heck is beta? What is smart beta? What could smart beta ETFs mean for the health of your portfolio? I recently got a chance to sit down with David Barber, Vice President of National Accounts at First Asset Management to learn more about smart beta ETFs, for this comprehensive interview, and how they can help you. David, thanks for this. In layman’s terms I understand beta this way – the tendency of a security (i.e., a stock or a bond) to respond to market swings. “Smart beta” can therefore be a strategy to maximize returns, because this strategy focuses on areas of the market that can be exploited. Do I have that right? Mark – first of all, thanks for inviting me to participate in your Q&A on Smart Beta. In the event your readers aren’t aware of First Asset ETFs, we’ve been a leader in the “smart beta” space in Canada and were recently acquired by CI Financial, one of Canada’s largest independent wealth management companies. We have a broad suite of smart beta products from our Morningstar value, momentum and dividend ETFs to our MSCI Low Risk Weighted (low volatility) strategies as well as some “multifactor” ETFs that combine the various styles of investing. The bulk of our $2.3 billion in assets under management is in smart beta ETFs. Smart beta combines the benefits of both passive and active management. It takes the low cost, transparent strengths of market returns and couples them with all the tools available to active managers in a scientific, rules-based approach. Smart beta takes advantage of proven drivers of return or “factors” – like buying inexpensive stocks (value), stocks that are trending positively in price and earnings growth (momentum) or stocks that exhibit greater price stability than the market as a whole (low volatility). Over long time periods, weighting a portfolio toward these market “anomalies” has resulted in better risk adjusted returns. Smart beta assumes that the market is not perfectly efficient and that by weighting your portfolio toward stocks that have better fundamentals rather than by company size (market capitalization weighting) you may be able to enhance outcomes. That is, you may be able to outperform the market or reduce portfolio volatility or potentially both. We know that these smart beta strategies don’t always outperform the market or reduce risk in any given time period, as these styles of investing aren’t always rewarded, however in the long run they do. A while back on your site, a blogpost headline stated “there’s no debating the intelligence of smart beta”. Why the rise of these products? How can they help investors? The first generation of ETFs were almost exclusively passive, market capitalization weighted products that delivered the performance of broad market (in Canada, for mimicking the performance of the S&P/TSX Composite). 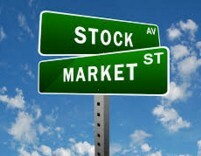 Investing in these indexes is inexpensive and is an accurate representation of the returns of the market. In Canada however, we know that the benchmark is heavily weighted toward financials and resources and therefore investing in it automatically overweights a portfolio toward these cyclical and often volatile sectors. Additionally, we’ve seen a couple of occasions where a single stock in the broad index becomes disproportionately large – think Nortel in 2000 when it made up 40% of the market and more recently Valeant Pharmaceutical which was briefly the largest stock by market cap in July of 2015 – and then subsequently lost a huge amount of value. Investing in strategies that weight constituents by their characteristics or exposures to these “factors” or premiums (i.e., smart beta) can help investors avoid these types of risks. For example, investing in our Morningstar Canada Momentum ETF (WXM) provides exposure to a basket of 30 Canadian stocks that exhibit (among other things) positive momentum in price. The ETF has sector caps (5 names per sector) and is equally weighted and rebalanced quarterly. This avoids the sector and single issue risk described above. From a portfolio construction perspective, it can be a useful building block and a great addition to either a passive or traditional active model. Since it was launched in February of 2012, WXM had outperformed the S&P/TSX Composite by more than 3.5% annualized (to Oct. 31/16 – source Morningstar) with less risk. Is smart beta just active ETF investing then? In a word – yes – smart beta is active investing. That being said, it may be argued that there is really no such thing as purely passive investing. Even the S&P 500 is not truly passive given that it is maintained by an index committee empowered to add or remove constituents on a regular basis. Smart beta ETFs are active, but not in the traditional sense where changes to the portfolio are done by a portfolio manager. They are rules-based methodologies that follow strict guidelines as to how they rebalance and reconstitute their indexes. How active, from a portfolio turnover perspective a smart beta ETF is, depends on how their rules work. For example, the Morningstar Canada Momentum ETF (WXM) I mentioned earlier has a turnover ratio of about 100% while our Morningstar Canada Value ETF (FXM) turns the portfolio over about half as much. Something to be aware of on the active-passive continuum is how differentiated your particular investment vehicle is relative to a benchmark. If you’re going to pay more for active management, it makes sense that you don’t invest in products that are “closet indexers”. After all, you can’t “beat the index” if you own the index. Our value and momentum ETFs have very high “active shares” – that is, they have well differentiated portfolios relative to the benchmark. David, you might already know from my site I have an affinity to investing in dividend paying stocks. I do this, in part, due to the psychological benefit dividends provide – its tangible cash and income I can use. I also own a few broad market, uber-low-cost ETFs in my portfolio for diversification. Can smart-beta ETFs co-exist with my low-cost fundamental ETFs in harmony? Your approach makes a lot of sense – nothing wrong with a dividend focused, low cost strategy. Adding smart beta ETFs to this asset mix has the potential to improve risk adjusted returns. I mentioned, again using the Canadian example, that the cap weighted benchmark is heavily weighted toward financials, energy and materials. It is also quite “top heavy” in that while it has about 250 companies, almost 40% of the index by weight is in the top 10 holdings. Dividend payers in Canada tend to be larger, more established firms, most of which are also well represented in the TSX Composite. Adding our Morningstar Canada Momentum and Value ETFs to this portfolio would provide added diversification by increasing exposure to sectors and names that aren’t in the well represented in the portfolio you don’t already own. These ETFs have 30 equally weighted positions so they give the portfolio more of a small and mid-cap flavour – these are firms that historically have outperformed the broad market as a group. An added benefit to adding both value and momentum strategies to your portfolio is that they tend to outperform (or underperform) in different market cycles – when one zigs the other typically zags – providing “factor diversification” to your portfolio. I recently had an interview with Navid Boostani, co-founder and CEO of ModernAdvisor. We discussed the fact that (some) Canadian investors seem to have hit a lightbulb-moment, they are learning high money management fees kill portfolios over time. What do smart beta ETFs cost and could these costs be a drag on total return? ETFs have done a lot to drive fee conversations with advisors and their clients given low cost is one thing that investors associate first with ETFs. That’s a good thing since Canadian investors pay handsomely for money management in general. A side effect of these conversations, specifically when it comes to choosing ETFs is that often, investors and advisors alike gravitate toward the lowest cost fund. In doing so, they may ignore the underlying constituents of the ETF and may not be making the best “apples to apples” comparisons. Any discussion on the price of the product must also take into account the value received. Most smart beta ETFs have management fees in the neighbourhood of 60 basis points (bps) so they do cost more than simple beta index replication funds which might average 10 bps or so. The goal of smart beta ETFs may be to reduce volatility, increase income generated or to generate better-than-market returns – or potentially a combination of these. Assuming these goals are met, then the investor is receiving value for the additional fee. 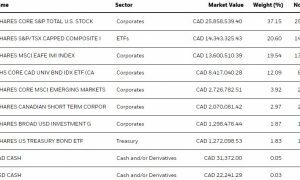 As I mentioned earlier, our Canadian Value and Momentum ETFs have both materially beaten the TSX Composite since inception and all returns are net of fees, so investors in these products shouldn’t have an issue with paying a bit more. Obviously, if these strategies don’t fulfill their goals, then cost becomes an issue. Lots to digest but great stuff David. Last question, what behavioural biases can smart beta ETFs, like those from First Asset Management, help investors overcome? That’s a great question Mark. Those who don’t adhere closely to the idea that markets are perfectly efficient would suggest that behavioural biases are the cause. I might answer this question more in the context of “what behavioural biases do smart beta ETFs take advantage of”. Most smart beta ETFs use relatively simple fundamental and/or quantitative models. There is a lot of research supporting the efficacy of numerical models not only in finance but in other fields like medicine. Models have outperformed experts more often than not in numerous studies. In fact, Ray Dalio a noted hedge fund manager uses a quantitative, rules-based strategy and 99% of the time he agrees with his strategy however the 1% of the time he disagrees with the model, he realizes in retrospect that the “machine” was right 66% of the time. Smart beta ETFs like our momentum strategy benefit from capitalizing on irrational behavior. Research shows that investors tend to hold onto losing stocks too long in hopes they’ll come back to their original prices and conversely sell their winners too early. Investors also tend to anchor to recent results so initially markets underreact to news or events. Once things become apparent, investors herd and overreact causing an overshoot in either direction. So momentum investing is purposefully investing with the crowd and helping push prices away from fair value and then profiting by having a sell model that is disciplined. Value strategies take advantage of the tendency of investors to systematically overprice “growth” stocks – preferring to chase lottery like returns instead of buying cheap, boring stocks. Many active managers are measured against a benchmark like the S&P 500 whose performance is dominated by expensive growth stocks and they are evaluated over very short time horizons. They therefore face career risk if they underperform these indexes and are forced to own the expensive stocks, leading to value stocks being neglected and underpriced. Thanks for these thoughtful responses David. I want to thank David Barber for his time and this exclusive post to My Own Advisor readers. What’s your take on Smart Beta ETFs? Got questions for me? Do you have any questions for David and his First Asset Management team? Disclosure – My Own Advisor has no affiliation with First Asset Management at this time. 11 Responses to "Smart Beta ETFs for your Portfolio"
Sounds good and seems to make sense. Had these types of products been available 10 or 15 years ago I may have been tempted to follow the advice. Instead I discovered the Connolly Report which lead me to a different strategy, one of selectively choosing dividend growth stocks, adding to just those, without selling for profits and looking for other stocks to buy, and holding for the growing income. It’s worked for me and I’m glad I do not have to rely on others or some matrix to determine what I should own and sell. I think there’s great merit to smart beta…it will be interesting to see how, long-term, as in 10-year runs, these products compare to market cap indexed funds. I suspect the returns will be similar after fees but I don’t know for sure. For any investor not ready to invest in stocks directly, some of these smart beta funds are very good for them – much better than anything that charges 1%+ in fees. Like you though cannew, I do enjoy holding my basket of CDN stocks – the same stocks the big and small ETFs own – CDN banks, telcos, pipelines and utility companies. I keep energy (oil and gas stocks) to a minimum in my portfolio. It’s nice to have that control over the portfolio weight. I too think these funds have merit and have experienced this so far over 3 years with ZLB and USMV. A much longer time horizon will be the best judge, so we’ll see. Nothing wrong with owning Canadian stocks directly. This is a very interesting article about Jack Bogle and covers some of the ground you refer to Ken M.
I think so RBull. The thesis on smart beta is sound but of course it’s going to cost a bit more because there is a bit more active management. I’ve long understood the more you tinker with your money/portfolio the more it’s going to cost you – not always good. So, the 10-year returns for smart beta are a real test for me – whether they beat XIC, VCN, ZCN after fees – they might or might not. “Over the years of running this blog I’ve written a bunch of blogposts about saving and investing my way to a million dollar portfolio. We’re not there yet but we’re on our way. Actively managed funds have been losing to index funds, in terms of cash flow, for eight consecutive years now. And it’s cascading now. Investors love it; Wall Street hates it. Mutual fund managers don’t like it either. Money is leaving them and coming to us every single day. We’re now doing a billion dollars a day. This is just totally beyond anything else in the industry’s history’. Good point from my wife – if all of the dollers start transferring to the EFTs, the investors and hege funds will lose money in the regular old stocks. I suspect if more folks use ETFs, or funds, or index – it will actually make the market easier to exploit. You basically avoid the massive herd. The reality is everyone has to trade sometime – just that part of the idea of passive investing is avoiding it as much as possible. Mark, my take on this is that smart beta is really just smart marketing. These smart beta funds are just overweighting known drivers of return in the market, such as size and value, so they would be expected to outperform the broad market over time. The thing is you can also overweight these factors (size, value etc) with cap weighted small cap and value funds, which, because they are less active than smart beta funds, are less expensive. So if you want to tilt to these factor, which is a perfectly reasonable thing to do, it makes more sense to do it with the less expensive cap weighted funds, as we know that best predictor of comparable fund’s future performance is it’s cost. The industry like these smart beta products because they make more money out of them. Thanks for your thoughtful comment Grant – I think it will be very interesting to see if smart beta will outperform over time, as in 10-years or so. I think there is great merit in a bias to smaller cap stocks, since they should have in theory much more upside than larger cap stocks but unless you own 100s of smaller cap stocks – it may be hard to cherry pick those stocks. Hence, your bias to lower-cost, highly diversified cap weighted-funds I suspect. I have no issue with cap weighted funds, however, you can suffer from a “Nortel effect”. Overall, I do believe low-cost, diversified, equity funds are best for many investors for the long-term. There is quite a menu that fits within that category. Thanks for reading Grant.